Muddy says: a vibrant and friendly all girls school. Northampton High School caters to the individual needs of each girl and encourages them to achieve their best in all areas (whatever that may be). Northampton High School is an academically selective all-girls school, with a long heritage in Northampton (this is the school’s 141st year), offering an individualised education for girls from age 2 to 18 (it’s about each and every single girl – more of which later). The school was established in 1878 by a committee of local church people and is now based on a purpose-built 27-acre site in the village of Hardingstone, on the outskirts of Northampton, and is easily accessible from the A45 and other major routes (even I didn’t get lost). It’s part of the Girls’ Day School Trust (GDST) which is a national leader in girls’ education. Rather than a grand, stately home like appearance this looks pretty much like a ‘normal’ school. 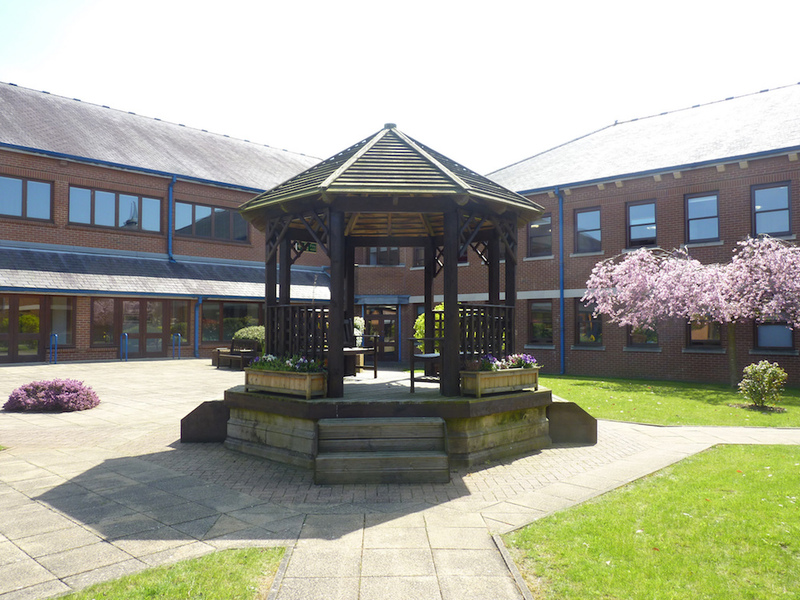 The main building is designed in a figure of eight, with two pretty courtyards in the middle. 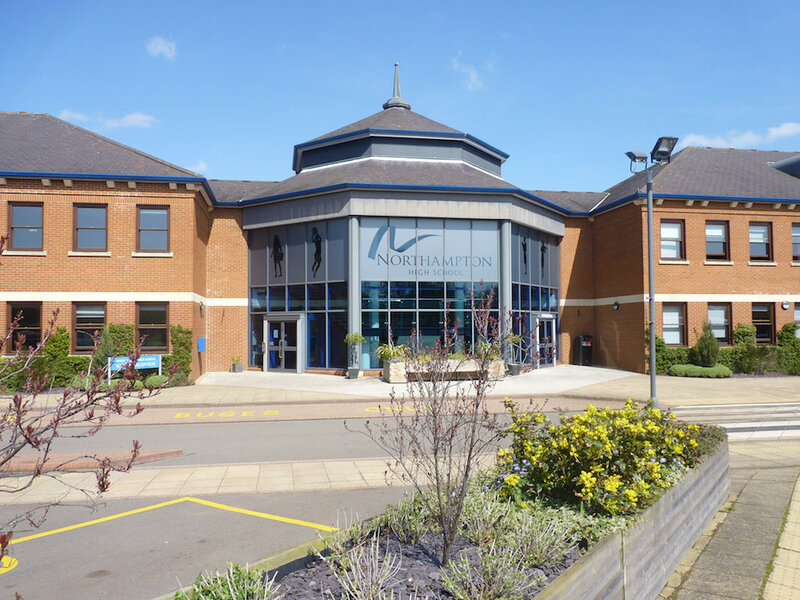 When you step inside, where some schools can be noisy and hectic, Northampton High School is refreshingly calm, yet full of life and a gentle buzz from the girls. 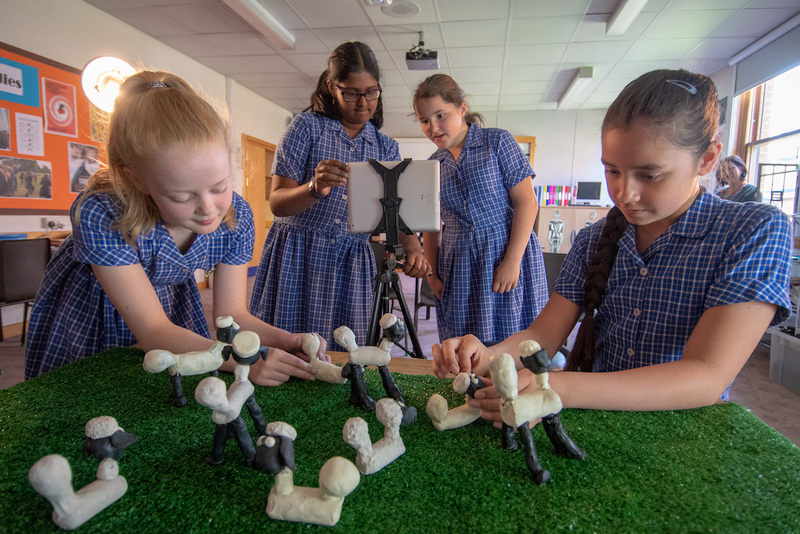 The relationship between staff and pupils is warm and gives the place a real welcoming vibe, while the calm and confident girls appear very happy to be there (I took my editorial assistant along, and she marvelled at how lovely the vibe was and said it actually made her want to go back to school). From the Nursery to the Sixth Form, the site is plenty of green space and all stages include excellent facilities. All areas of the school have a sense of belonging and give a warm welcome, and all ages of the girls are smiley and enjoying being there. 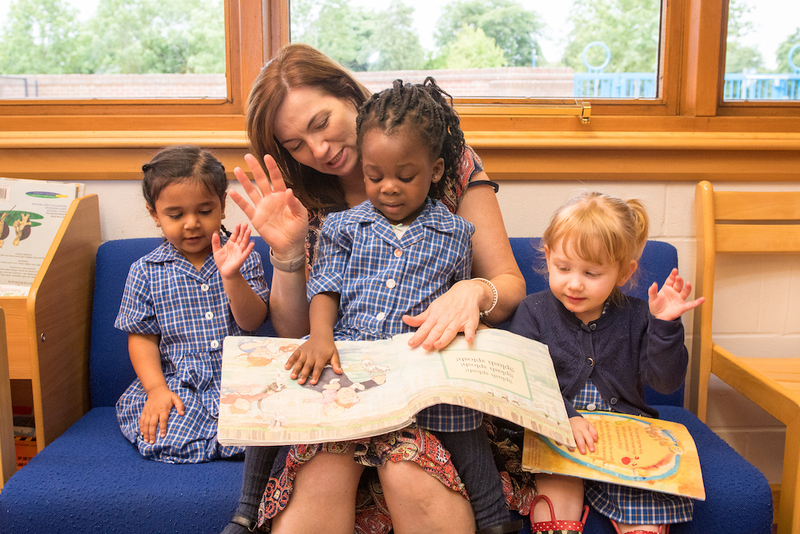 The Nursery vibe is nurturing and reassuring and the girls learn through play, self-led curiosity, group activities and creativity (the Mandarin lessons can be put on the back burner). There’s loads of play equipment including a covered outdoor play area complete with sandpits and mud kitchen. They share a library with the Junior School and have a Community Room for PE, ballet lessons and music sessions. The Junior School has large airy classrooms and outdoor learning areas for each class. The playing isn’t limited to the Nursery as the outdoor space is home to a multi-use games area equipped for all ages. 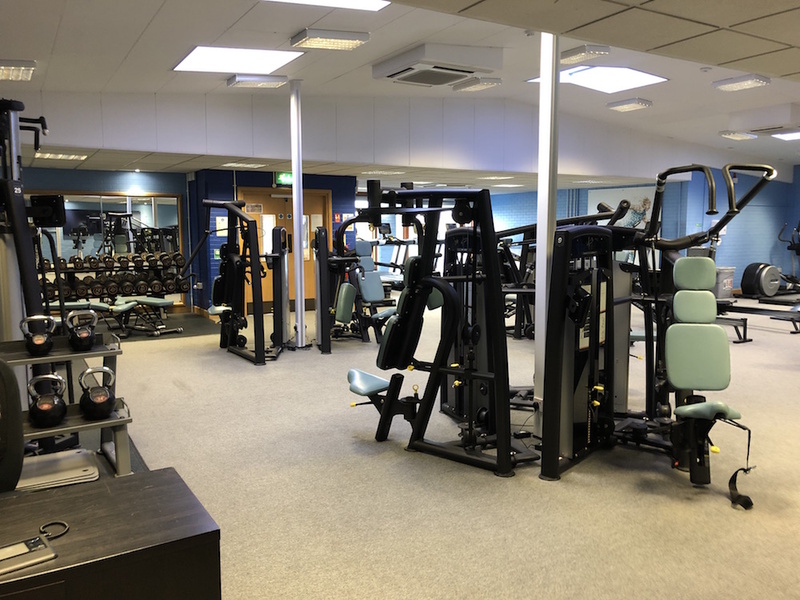 The Sports and Performing Arts facilities are impressive to say the least with fully equipped recording studios (named after the one and only Beyonce, of course!) and a gym to make any health guru jealous. There’s also a floodlit Astroturf, tennis court, extensive sports field and a squash court! 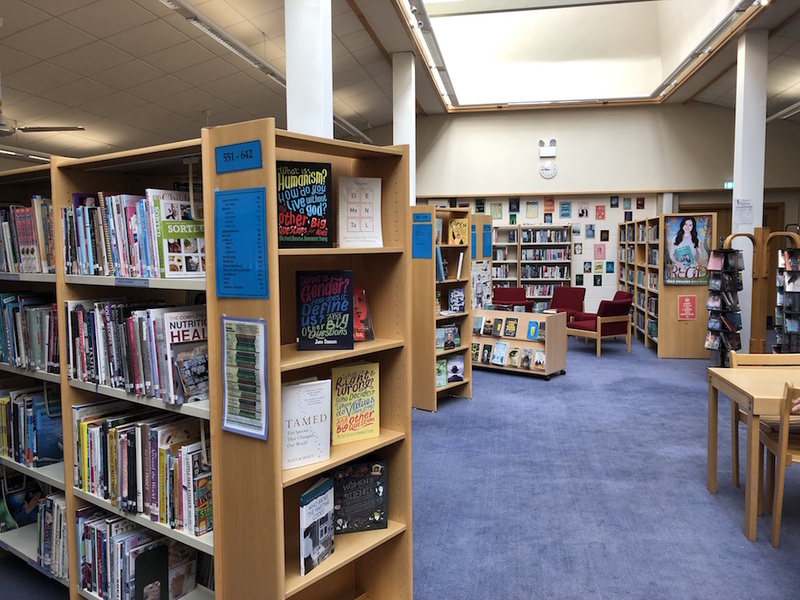 There’s also loads of social places for the girls to meet, work together and relax between lessons, and the library has a full-time Librarian so they can indulge in any books, at any time. The theatre space becomes home to several productions a year, complete with a band, full stage, lighting and sound, so they truly give the full theatre experience. The girls exude confidence and natural talent here, and there’s a couple of pianos spread around the site so they can play whenever they want; we’re not just talking Chopsticks here either. 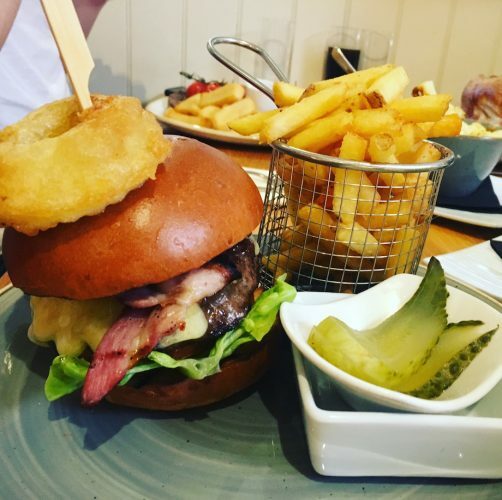 From a Film Studies lab, Specialist Science labs, textiles studio and individual kitchen areas for food technology, they have the opportunity for an well-rounded experience. 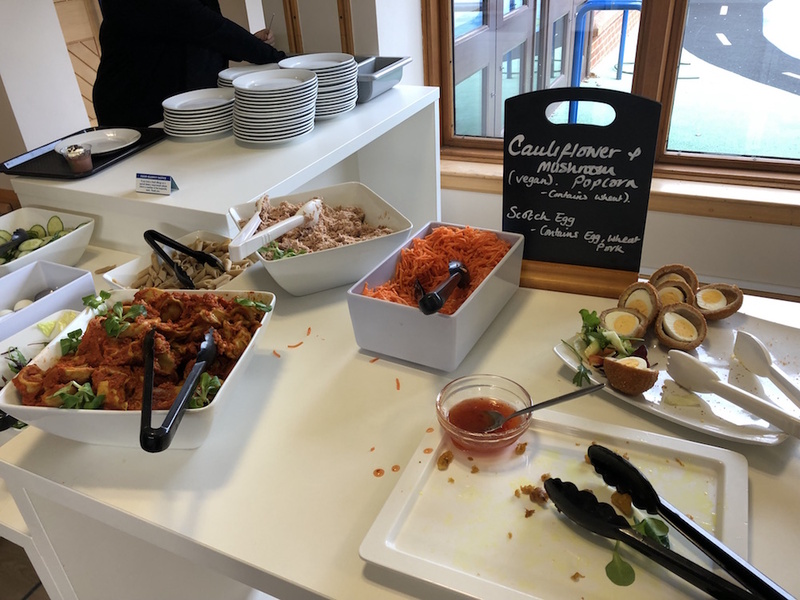 Everyone is well looked after, with breakfast and after school clubs available and a full transport programme to help the parents out with the school run (we stayed for lunch and made use of the fantastic salad bar). 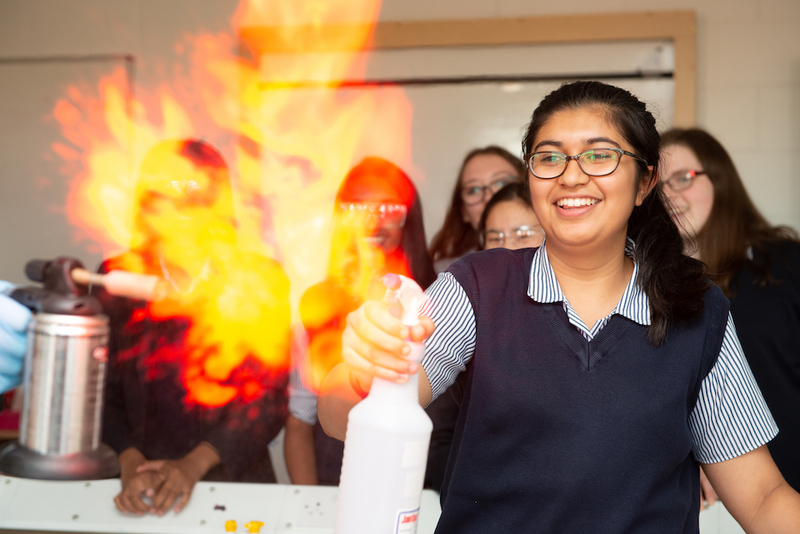 Class sizes are on the smaller size for the Junior School, averaging at 12, and the Senior School reaches a maximum of 24, with smaller GCSE classes. The Sixth Form is on a more intimate level, with a maximum of 15, although groups of 5-7 are the norm. 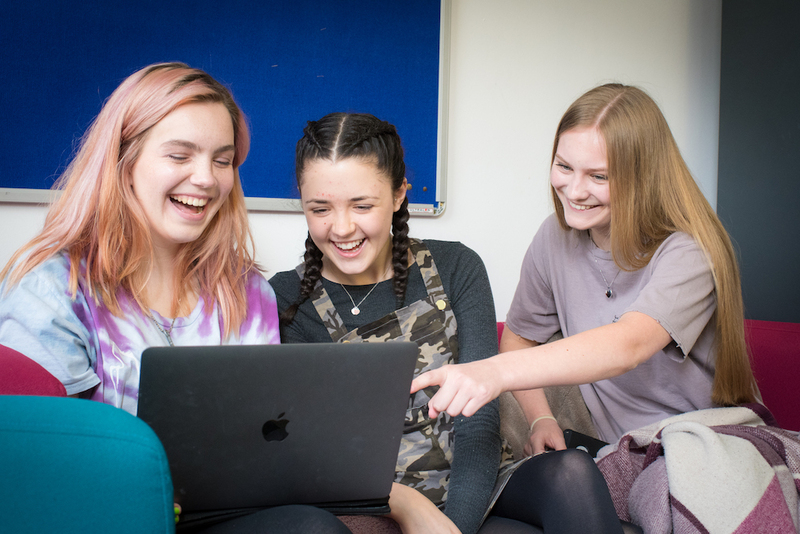 The fantastic academic results the girls achieve open the doors to awesome futures, with 61% achieving 5 or more GCSE 7 to 9 grades and 34% of all grades at A*. The A Level grades are equally as impressive with 52% averaging A*/A. There is also the Duke of Edinburgh Award, World Challenge and Social Enterprise and Young Philanthropy. The school focuses on knowing the girls as individuals with their biggest success measure being the range of post 18 destinations. 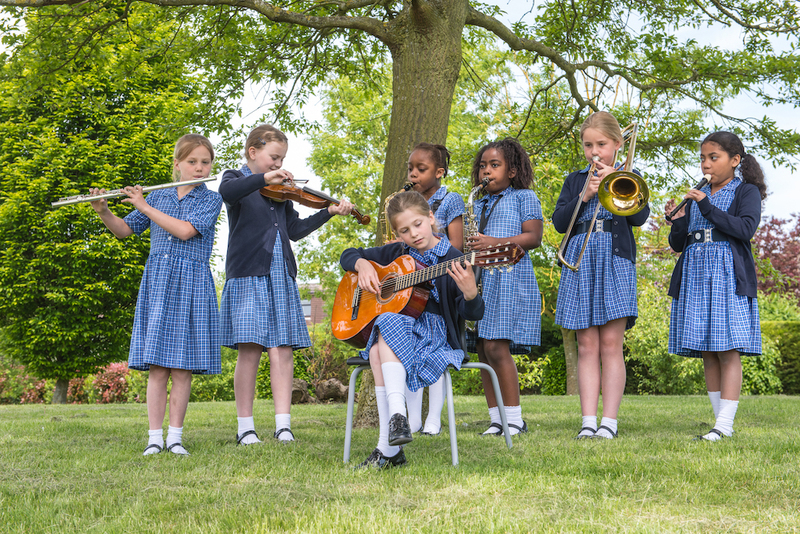 The variety of options reflect on the school’s ethos of doing what is best for the girls. After speaking to the head, a member of staff and a student in the leadership team, there seems to be no grand scheme as such. 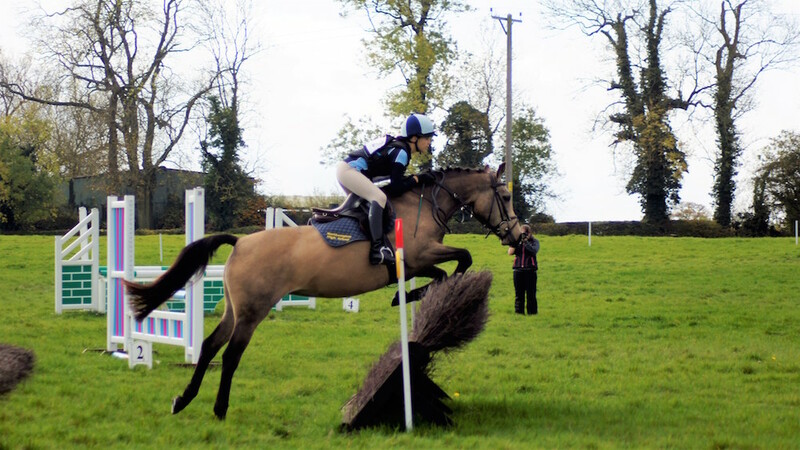 It’s all about what the girls’ need now, and this seems to lead to them genuinely want to working hard and therefore gaining outstanding results. The school community is super tight and the pastoral care is second-to-none. You can see how well all the pupils and staff get on and all staff have teenage mental health training. The Embedded House system is split into four and all named after Greek Goddesses; Demeter, Hestia, Artemis and Selene (Girl Power!!). The wellbeing of the girls after their time at the school is equally important as the Inspiring Futures careers programme is available from Year 5 to support the girls through their choices and make sure they get the best route for them. Everything is tailored to the individual girls; helping each one to find and follow her dreams and guiding her when crucial decisions have to be made (told to us by one of the students who also said the feeling of belonging was a huge plus point of the school). This is an academically selective school and Scholarships are offered in recognition of outstanding achievement and potential. Academic, as well as scholarships in the Performing Arts and Creative Arts, Sport and Swimming are up for grabs. 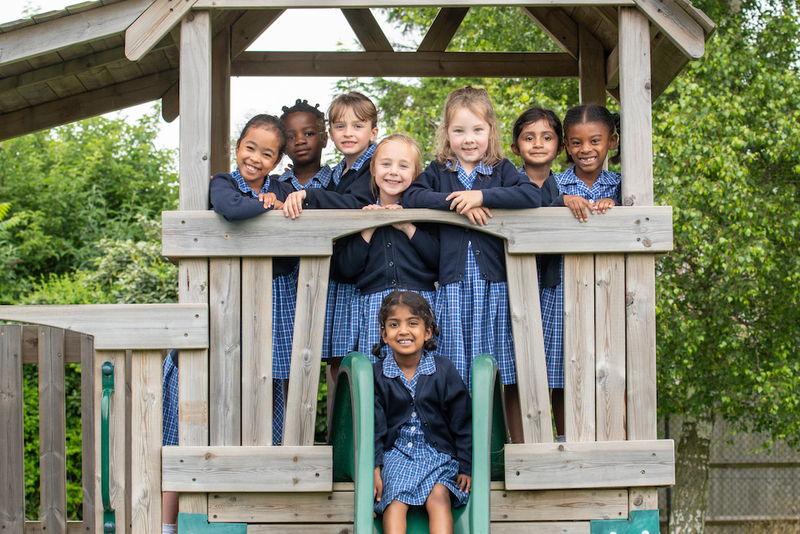 Bursaries are means tested and are based on family income and assets, and are offered for up to 100% of the school fees by the Girls’ Day School Trust (GDST). Dr Helen Stringer is one impressive woman and the epitome of girl power so who better to be the Headmistress? She was appointed as Head in September 2015 and has since had a real impact on the school (some parents say that she is largely responsible for the school celebrating individuality and moving it forward to offer a progressive and pastorally supportive school of the 21st century). 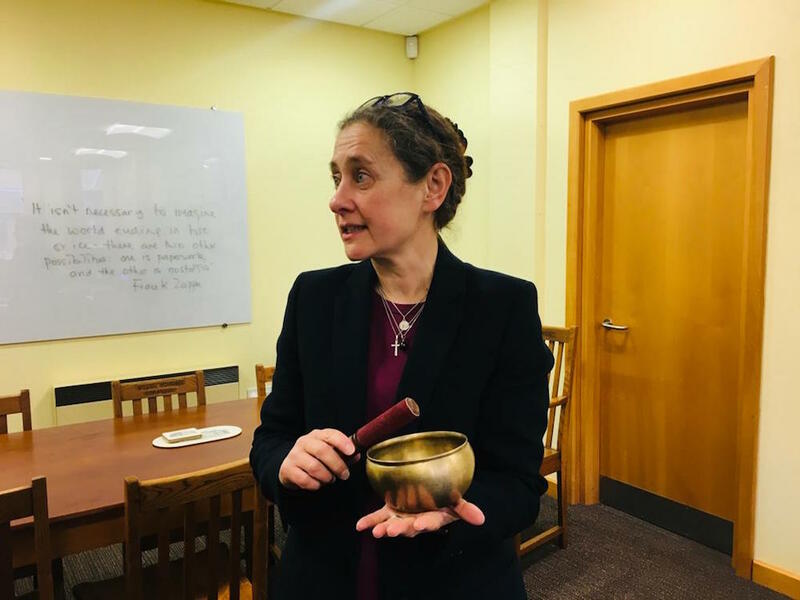 I took an immediate liking to Dr Stringer; when she says she believe the pupils are not there to make the school look good, I believe her (quite frankly, she had me at the tinkle of her Buddhist singing bowl). She absolutely believes her responsibility is to the young people. She pushes the girls awareness of current affairs and encourages them to engage with the news and current affairs; ultimately preparing them for that big, often scary world out there. There’s plenty of trips and visits for the girls from skiing and city breaks to language exchanges and homestay experiences. The girls are offered hands-on experiences in galleries and museums, expeditions into the great outdoors and encounters with other cultures. They’re a fairly well travelled bunch! 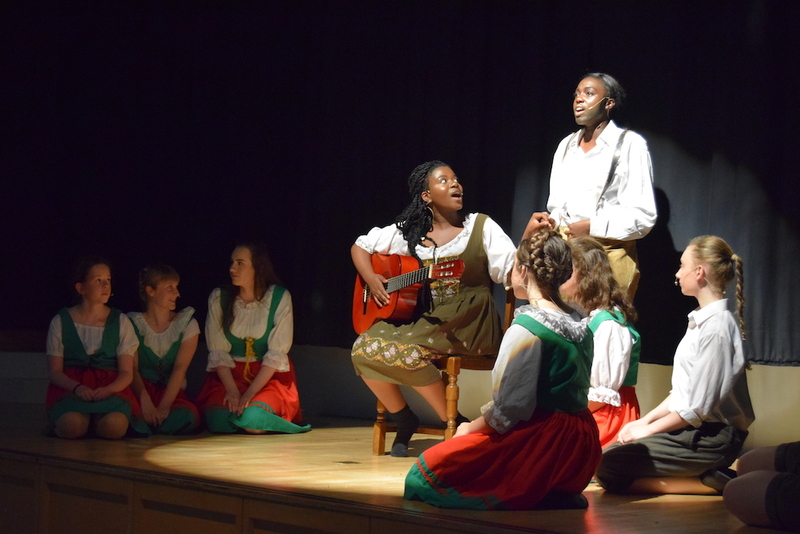 The extracurricular programme is rich and offers something for everyone. From debating to the Medical Society, Café Sci to polymer art club, plus timetabled individual lessons (approx. a third of all girls take lessons). Sport is strong, which isn’t surprising having seen the facilities! Normality. It may sound weird but there are no manor houses or scenic woodland driveways. But the purpose built school buildings do exactly what they say on the tin. Having been to loads of very grand looking schools that don’t flow very well because you can’t knock through the Grade I listed walls or mess with the antique-ness of it all, it was refreshing seeing a school where classrooms are built with kids in mind. They’re warm, clean, light, and facilitate learning (exactly like the teaching). Very much a feeling that it celebrates all of what used to be good and great about schools before pressure rose so much. It used to have a reputation for being quite rigid and turning out a certain type of girl, but feeling is the head has changed all that, and it’s generally very highly regarded. It’s particularly praised for its care with children and parents in difficult circumstances; but generally; a great school all round. Good for: Girls who want to learn and have a well-rounded appetite for knowledge. Students who are interested and often interesting! 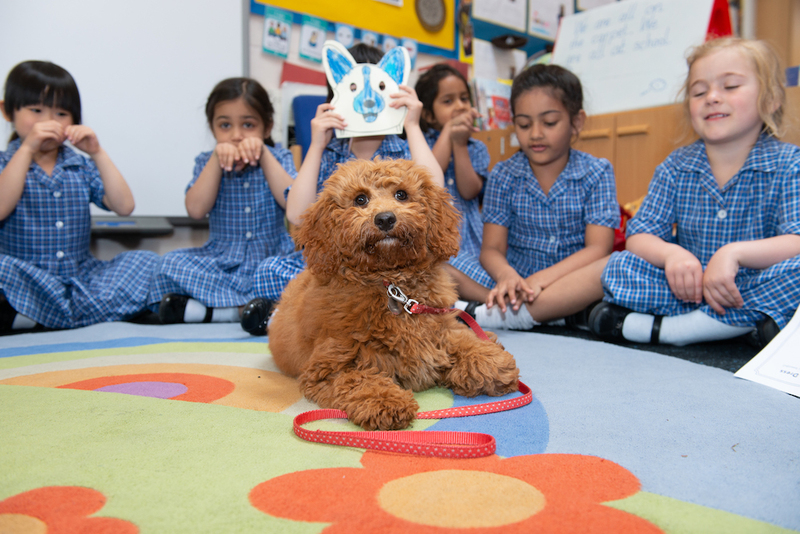 Here they will be nurtured, brains engaged with an opportunity to get involved in loads of activities, not least, obtaining very good results. Be my guest! 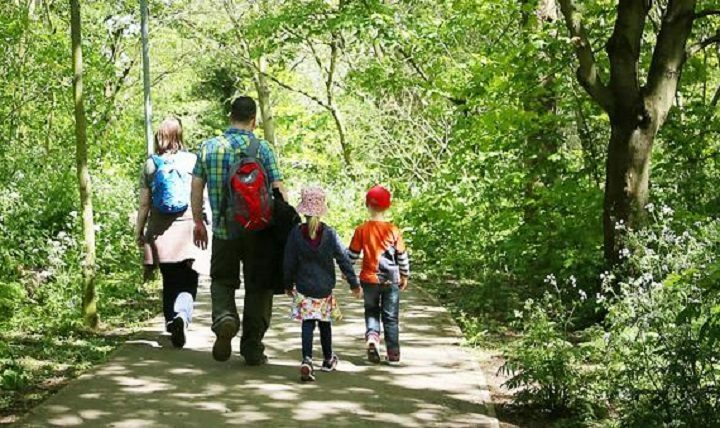 Whole School Open Events, Thursday 7 March 4.30pm to 6.30pm, Friday 8 March, 9.30am to noon, Early Years Family Fun Morning, Saturday 27 April 10am to 12noon, Junior Arts Activity Day, Saturday 27 April, 10am to 2.30pm, Whole School Open Event Friday 3 May, 8am to 12noon.